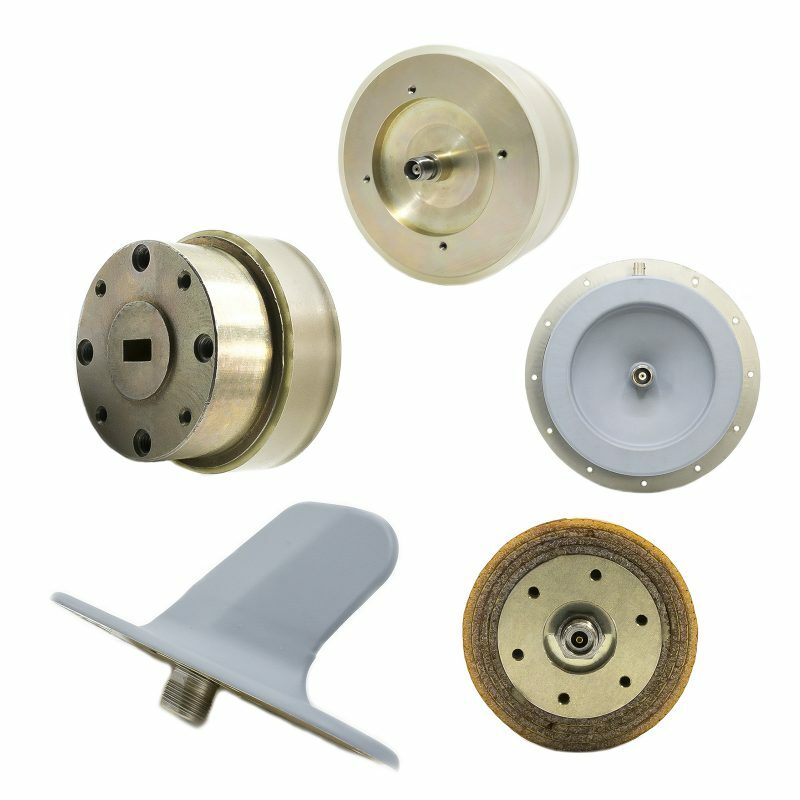 M.E.C.’s omni-directional antennas include blades, bicones, stubs, and annular slot antennas. 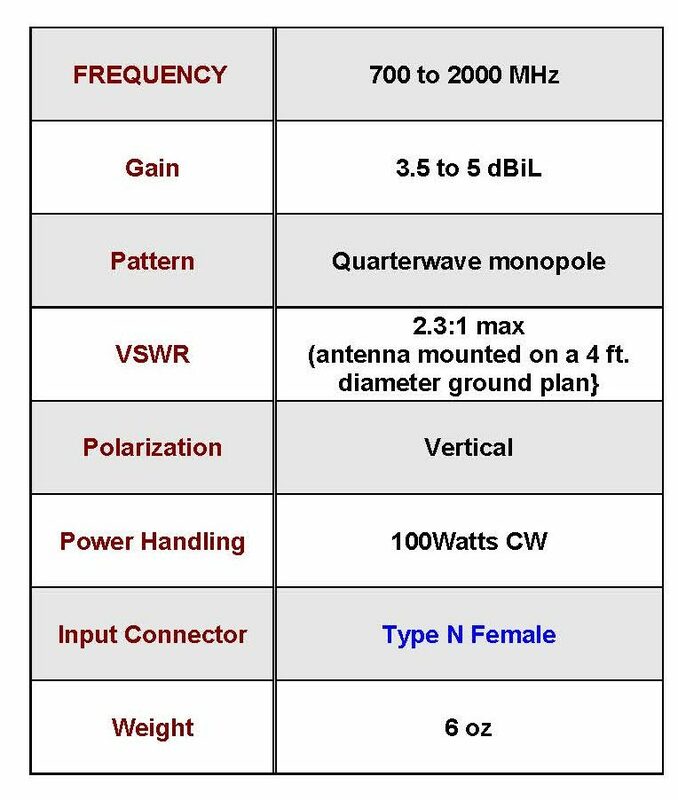 See below for more information about each antenna type. 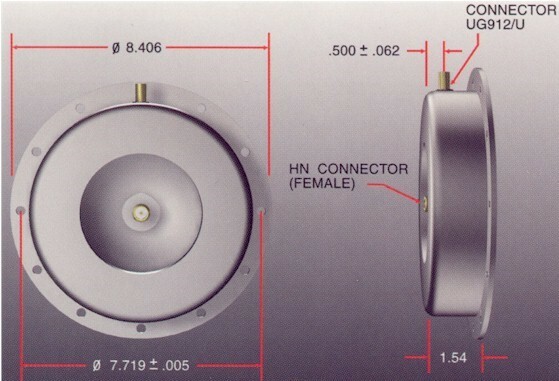 P/N 6050: M.E.C.’s 6050 broadband blade antenna provides continuous coverage from 700 to 2000 MHz. 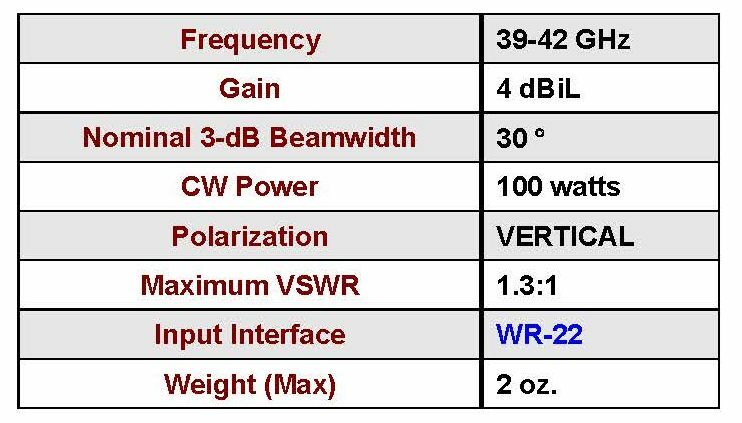 The unit offers omni-directional azimuth coverage with radiation pattern similar to a quarterwave monopole. The antenna’s lightweight, rugged, and aerodynamic design makes it suitable for use in supersonic aircraft. 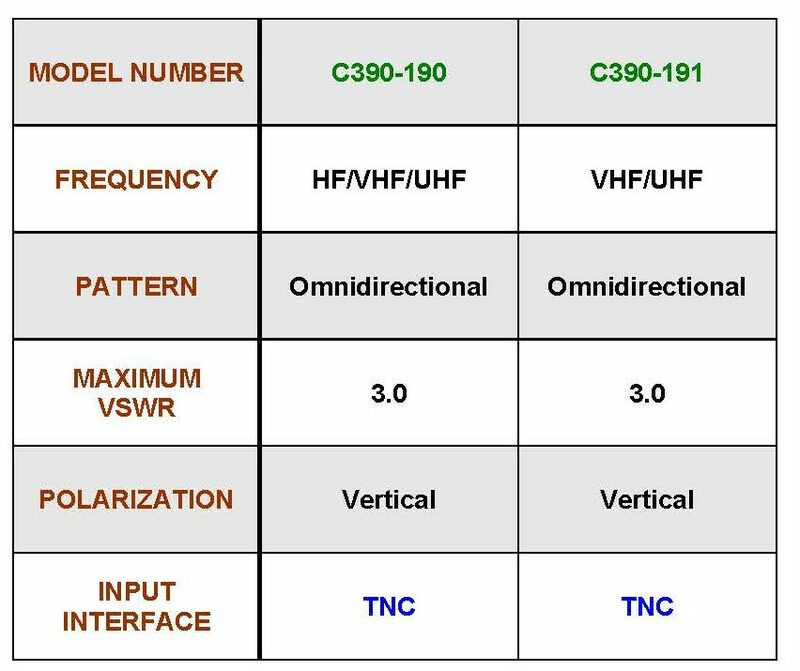 P/N C390-190, C390-191: M.E.C.’s C390-190 blade antenna covers UH/VHF/UHF frequencies, while the C390-191 covers VHF/UHF frequencies. Both models have identical form factors. M.E.C.’s biconical antennas offer broadband performance with omni-directional azimuth coverage. The antennas are enclosed by broadband polarizers which produce slant linear polarized waves. All units are sealed and are suitable for airborne and shipboard environments. 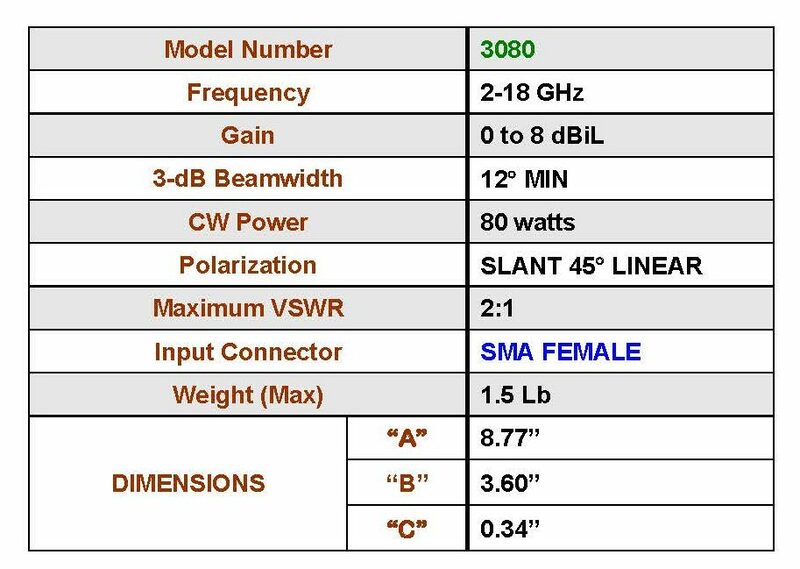 M.E.C.’s T390-317 is a biconical antenna that operates from 39 to 42 GHz. 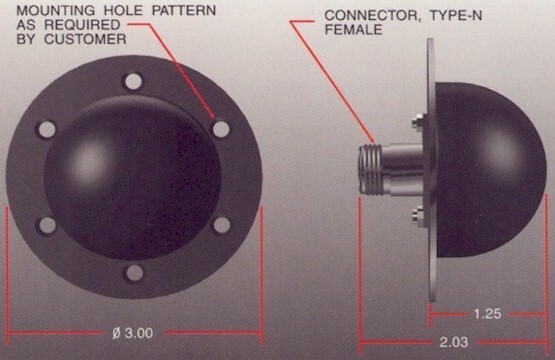 It provides omni-directional circumferential coverage with 30° axial beamwidth. The antenna has a radome that makes it environmentally sealed. 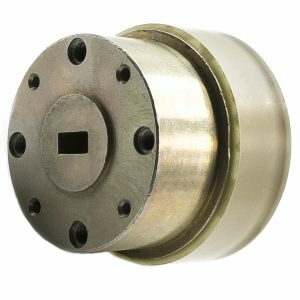 The input, WR-22 waveguide, is first converted to TM01 (E01) circular waveguide mode then to TEM biconical mode for low loss and maximum efficiency. This antenna is linearly polarized along the antenna axis with 4 dBi gain. VSWR is less than 1.3:1. 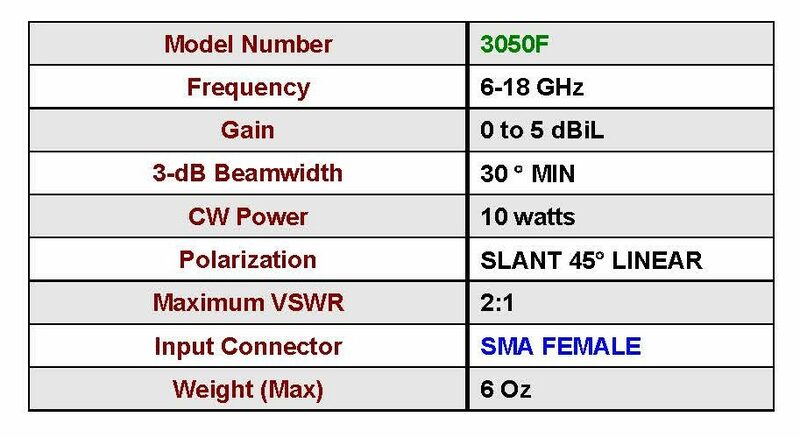 Other biconical antennas from 0.5 GHz to 40 GHz are also available. 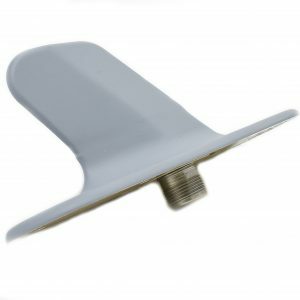 M.E.C.’s C390-143 broadband stub antenna is a monopole design which features an omni-directional azimuth pattern and high power handling capability. The stub radiating element is en-closed by a hemispherical radome. 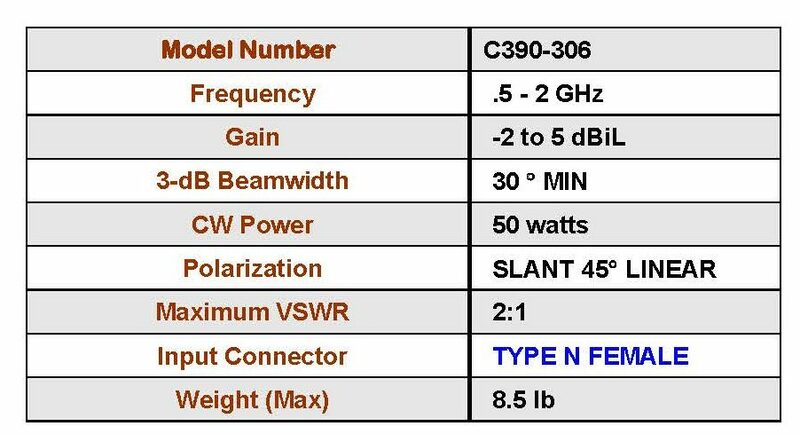 This antenna meets the environmental requirements of MIL-E-5400, Class 1 equipment. All units are lightweight and compact and offer low VSWR, making them suitable for high speed aircraft. 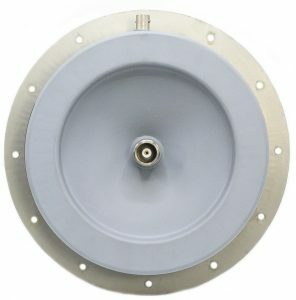 M.E.C.’s c390-152 L-band annular slot, flush-mount antennas feature an omni-directional azimuth pattern and high peak power handling capability. Its radiation pattern and gain are similar to a matched quarterwave monopole. 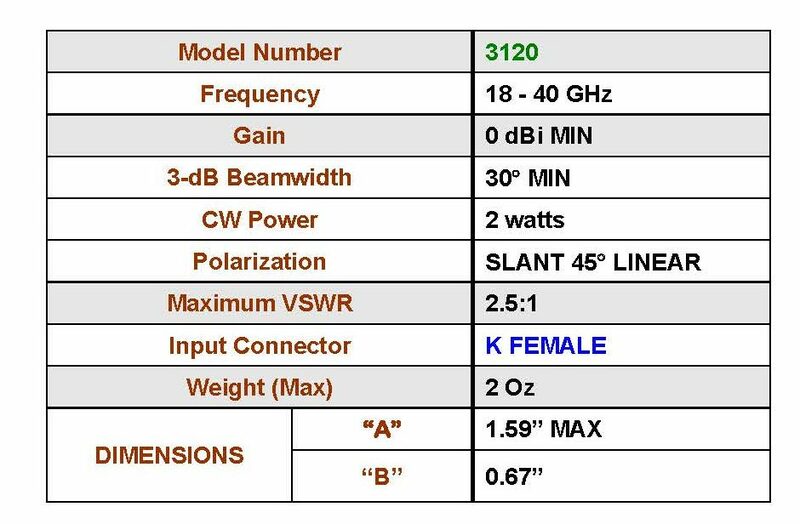 This antenna meets MIL-A-25707 and is designed to IFF and/or TACAN applications. All units are lightweight and offer low VSWR, making them suitable for high performance aircraft.